It is important to understand that the customer is key in deciding the value of a service. But what other things influence the customers' understanding of value? 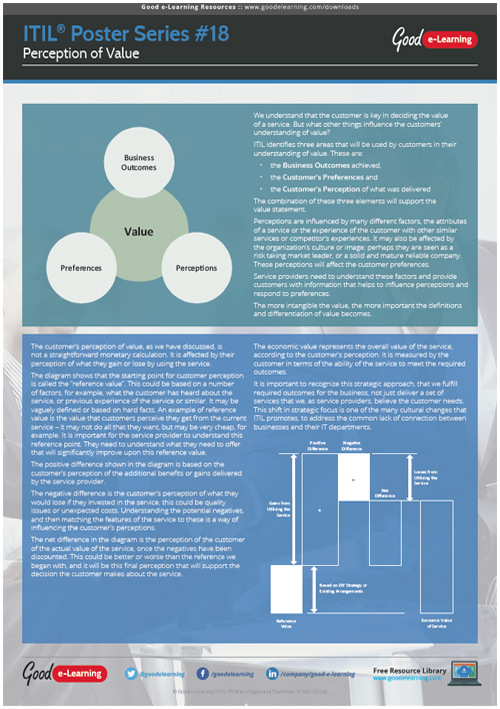 In this poster, we'll be looking at three areas ITIL identifies that will be used by customers in their understanding of value.